London Knees by Claes Oldenburg created in 1966 in an edition of 200. 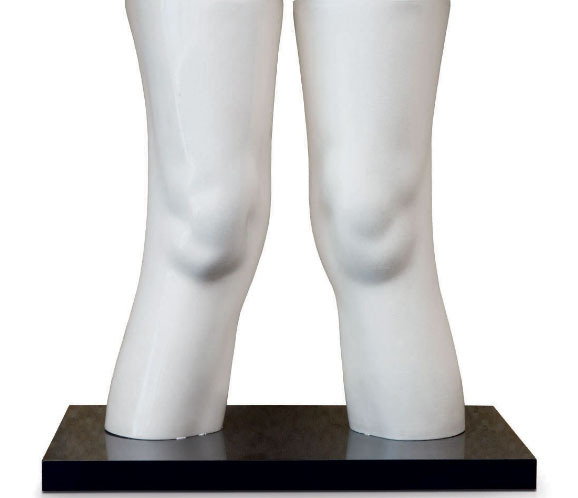 Sculpture multiples cast in flexible latex and coated in polyurethane, 1966, two knees mounted to an acrylic base, each knee presumably stamped with initials and dated on the underside, from the edition of 200, co-published by Editions Alecto and Neuendorf Verlag, London, 1968, each: 14 3/16 x 5.75 x 6.75 inches. Image credit Christie's.